Centrally located on Sanibel’s Periwinkle Way, Island Therapy Center is a physical therapist-owned independent practice, offering a professional, caring and motivating atmosphere, with a range of services including physical therapy, massage therapy, Pilates training and medically-based fitness. We are proud to be part of the Sanibel Captiva community, offering valued health services for the past decade. Our physical therapists each have many years of experience, additional certifications and doctorate-level education. We specialize in orthopedics, dizziness, balance, sports injuries, manual therapy, neurology, post-surgical rehabilitation, lymphedema, fall-prevention, and vestibular rehabilitation. 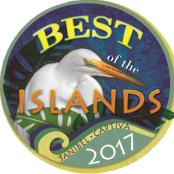 Our licensed massage therapists (consistently voted “Best of the Islands”) have a reputation for excellence on Sanibel Island, and are especially skilled in massage for muscle pain or injury. Individual Pilates training is available with our certified instructor on top-of-the-line equipment. 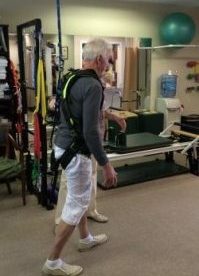 Need to improve your health, but have medical or mobility issues keeping you from a gym? Our medically-based fitness program is customized to meet your goals in a safe environment. 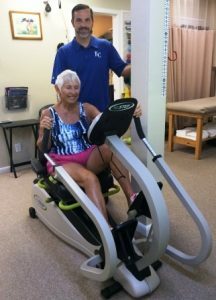 WHY CHOOSE ISLAND THERAPY CENTER FOR PHYSICAL THERAPY? You will be evaluated and treated by the SAME therapist each visit, schedule permitting. This ensures consistent care and faster recovery. You deserve your therapist’s undivided attention, therefore we ONLY schedule one-on-one sessions. For this reason, we suggest you book ahead for appointments to ensure your preferred times. Our schedules fill quickly during peak season (January to March). Our licensed physical therapists (including doctorate physical therapists) have many years experience. You will NOT have treatment by aides or assistants. You ALWAYS have a choice in where you receive your physical therapy services. Some physician offices may not be aware of our clinic, or prefer to refer to clinics in their own system, despite inconvenience for the patient. We accept referrals from all physicians and health systems and will stay in close communication with your doctor. We offer a CHOICE between insurance-based billing or a Medicare-equivalent flat-rate fee. This takes the guess-work out of estimating the cost, especially if you have a high-deductible, are out-of-network or have no insurance in the USA. Products to enhance your well-being and pain-relief are available for purchase at the front desk. These include quality, lab-tested CBD products with both full-spectrum (cannabinoids with legal-limit of THC) and broad-spectrum (beneficial cannabinoids with no THC), no prescription required. Also available are Professional Biofreeze, Theraband, RockTape, shoulder pulleys, TENS units, therapy balls, and hot/cold packs. 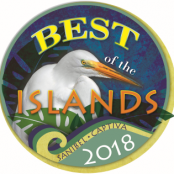 Island Therapy Center was founded in 2009, by Sanibel resident Rachel Tritaik, PT, CLT, LMT, with the goal of providing quality healthcare services to residents, visitors and workers on Sanibel and Captiva Islands. 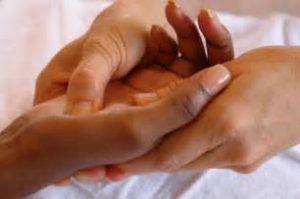 With over 20 years experience in the physical therapy profession, she also understood the need for complementary therapies that would enhance her patient’s health. Rachel envisioned a different approach from the traditional physical therapy clinic. In other clinics, patient’s times overlap, and non-therapists conduct most of the “treatment”. We believe in quality over quantity, resulting in happier patients and therapists! Our mission is to help you with three “R’s”: reduce pain, restore mobility and return to your active lifestyle. Enjoy our beautiful islands and feel well on Sanibel. You are welcome to stop in if you prefer to view our facility prior to setting up an appointment. We can also schedule phone consultations with our therapists if you have questions about your condition. Call our office 239-395-5858 for any questions. Is your physician suggesting physical therapy? Please ask them to fax a referral to 239-395-5857. Our comfortable, well-appointed clinic is conveniently located on Sanibel’s main street, in the Sanibel Square plaza between Sanibel Susan Realty and Norm Zeigler’s Fly Fishing Shop. The main entrance ramp is from the parking-lot area for ease of accessibility. Home visits available pending therapist schedule and seasonal clinic demand. Travel fees apply.